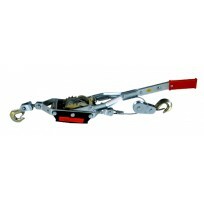 Lever Hoist - Titan & BroThere are 4 products. A Great Range to suit most needs, Titan is a leading proven brand within the New Zealand Commercial Engineering, Petrochemical, Energy & Power, Contracting, Farming, Quarry, Heavy Lift, Crane, Transport and Industrial Construction markets for 20 years. 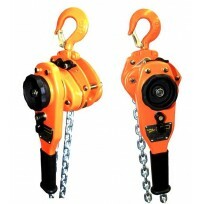 Titan Mini Lever Hoists offer compressed size and weight, with the handle working on a ratchet design to give improved performance and durablilty. Ideal for linesman. 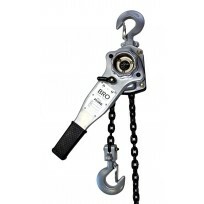 BRO has been designed exclusively for New Zealand with heavy construction and design at a affordable price. The TITAN Industrial is Quality and Performance with direct clutch engagement, Cast Safety Latches and Plated Chain Protection to name a few of the many features. 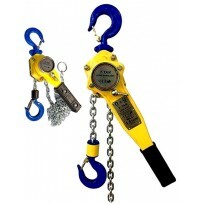 All of our Lever Hoists fully comply with CE and AS/NZS1418.2 International Standards. All come with Test Certification and Unique Identification Numbers. 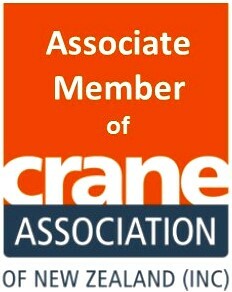 All Come with Operator Manuals and a 12 month "Free of Defect" Warranty.